Chögyal Namkhai Norbu Rinpoche is the founder of the International Dzogchen Community, the worldwide community of his students. The community exists in more than thirty countries and comprises those people interested in following the Dzogchen teachings as transmitted and taught by Rinpoche. 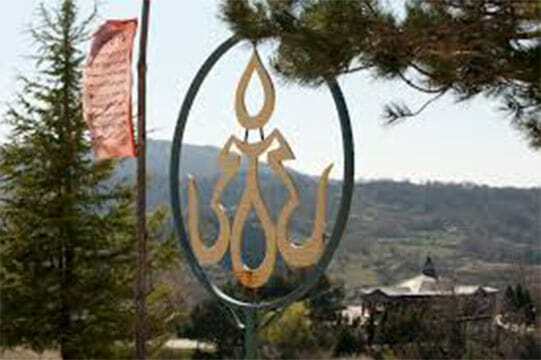 The main centre (or ‘Gar’) of the Dzogchen Community in Europe is at ‘Meri Gar’, in Italy. Other main ‘Gars’ (meaning literally dwellings) have also been established in Italy, Romania, the USA, Argentina, Venezuela and Australia. There are also a large number of smaller centres (or ‘Lings’) all over the world, The aim of the Gars and Lings is to serve as a focus for community activities and to enable practitioners to deepen their knowledge of the teachings and to do retreat. Chögyal Namkhai Norbu has also established a number of other international partnership organizations, including ASIA and the Shang Shung Institute which work closely with the International Dzogchen Community.